Even better was the fact that Peter, our Dutch friend from the Gibbon Experience had gone ahead to sort out hotel rooms. In return, CAM and BigB helped Yolanda, Peter’s partner, with their bags. That, unfortunately, was the high point of our visit to Luang Prabang. Over the next few days each of us succumbed to traveler’s tummy, wary to leave our hostel for too long in case of a toilet emergency. The streets of Luang Prabang are crowded with tourists, motorcycles, cars and minivans. The throngs of tourists were hardly a surprise once I figured out that just in the backpacker set alone, over 200 people a day arrive on the slow boats from Huay Xai (the Thai border). Judging by the frequent jet-trails visible overhead, there must be an equal or higher number of people flying into the city. None of this distracts from the natural beauty of the location but it does make the place feel more like “Luang Prabang Land” than an off-the-beaten-path destination. 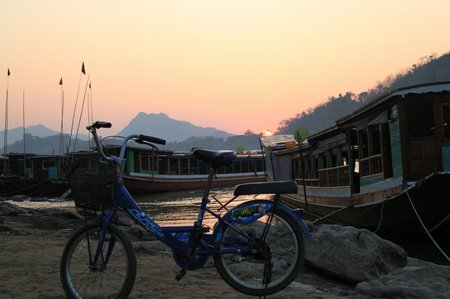 The air on the streets of Luang Prabang was fetid, a soupy mix of noxious car fumes, especially at dusk. By the time we left the city, I was walking around with a roll of toilet paper in hand in a barely effective attempt to keep my nose drip at bay. 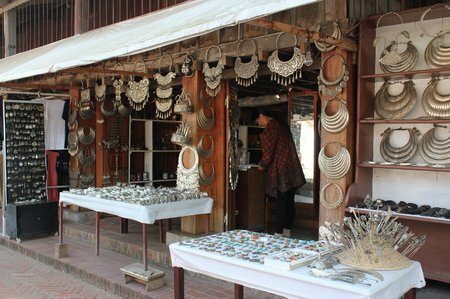 Our visit to Luang Prabang was a classic case of how you feel demonstrably impacting how you experience a destination. We rented bikes and cycled around the city. We stopped to explore the ancient wats. We (well, I) visited the Royal Palace. But we couldn’t wait to leave. 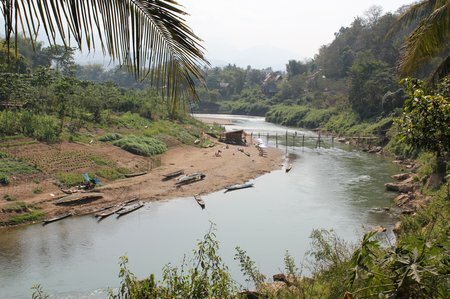 Later, we dismissed Luang Prabang as “not worth the effort” to quite a few other travelers we met. And then, as we reviewed our photos of Luang Prabang, we couldn’t help but admire how beautiful it looked, even in our amateur shots. Another place for the “we’ll need to go back there” list.